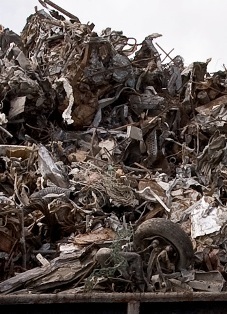 The government said the $300,000 deal involving the 6,000 tons of baled scrap metal from the dump followed the awarding of a contract through the Central Tenders Committee. Juliana O’Connor Connolly said at the time that government had taken the money in advance and, unlike attempts made by the previous administration no local sub-contractors were out of pocket as a result. O’Connor Connolly also confirmed that Cardinal D Ltd was a locally incorporated company that was working with its alliance, Pan Caribbean Energy Limited, and that it had in turn contracted Hong Luen Metal Trading Company of Honk Kong. O’Connor Connolly said everythingwas above board with this contract and the remaining metals would also now be put out to contract. “We have followed all the laws in regards to these contracts and we will continue to do so,” she added. Trading scrap steel is a highly risky venture, hence the solid reward when properly executed. As a experienced steel trader, only 20% of deals go off without a hitch. The Caymanian Government got a good deal from Cardinal D.
Well the so called ACTION man and his goonies couldnt get it done so Kudos to Juliana and the boys in green. This government signs another bonus deal! Way-to-go Mac! Are you really serious questioning the selling price? Then maybe try buy it yourself and find anyone that will buy it from you. Just curious: Scrap metal is a commodity just like gold or copper. Did a quick google search and got an average price per ton of US $250. per gross ton from December until now. Granted there maybe be some factors involved (mixed metal etc) but selling a commodity is fairly easy. it doesn’t take a lot of middle men. Reminds me of the Cash-4-Gold scam that pays about a third of daily spot (US$1,172 today) and cost less than $5. per ounce to melt, assay and sell to the refiner. That puts $800 per ounce in their pocket in less than 24 hr. 6,000 tons at $50.00 per ton + $300.000.00. I bet this is the money that was used to pay off Matrix debt. If it is then can someone please explain what Ranston W is rejoicing about? Uh, what has the price of scrap in the US got to do with this? You’re not even quoting the right kind of scrap. I’m not sure what metal you are referring to. Ferrous metals include steel and pig iron (with a carbon content of a few percent) and alloys of iron with other metals (such as stainless steel). This should cover most of the metal in our scrap. Non-ferrous metals are more valuable. Market prices the same anywhere in the world. At $250 per gross ton X 6,000 tones for just the scrap ferrous metal the international market value is about US $1,500,000. or CI $1.2 million. Even if you allow shipping cost of $200K (unlikely) you end up with value of over CI $1 million. My concern here is whether Cayman got a good deal on this transaction or not and can do better on the next one. I am sure your critics will have everything else to conjure up and say, but this accomplishment and the other future accomplishments! Ranston, XXXXX. This would have happened if you or I were the leaders of government. In fact, you and I would probably do a better job. Do NOT give credit to the UDP for the sun rising, they had NOTHING to do with it!! Then who did? you need to come back to planet earth….